Leaving Guyana or Trinidad and Tobago for Canada is not a decision to make lightly. It takes time. It is complicated. And it can be expensive. But it is worth it. et’s be candid about moving to Canada from the Caribbean. A tongue-in-cheek expression in North America goes, “Be it ever so grumble, there’s no place like home.” And no matter what country you pick, you hear people complain about the land of their birth. One would be certain that the grass grows greener, and the sun shines brighter, on the other side of the border, no matter where you live. 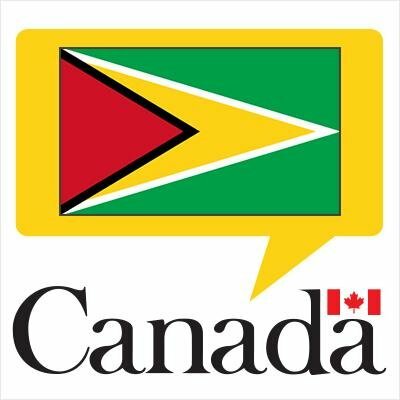 Upper Canada Immigration Consultants is returning to Guyana to meet with clients between March 25 and March 29, 2019. Canada really is a land of opportunity. Both the United States and Britain are turning inward. The leadership of the English-speaking world has shifed to countries like Canada, Australia, South Africa, Ireland – and even India and (yes) the Caribbean! Canada is not easy, as your first winter will tell you. Canada is certainly not Guyana or Trinidad and Tobago. So many of us from the Caribbean, however, have found a good home in Canada, most especially in Canada’s economic, cultural, commercial and industrial heartland, southern Ontario. If you’re thinking of taking the next step of your life in Canada, southern Ontario is probably where you are headed. The long winter not withstanding, you’ll at find a large, warm and vibrant community from every Caribbean country in southern Ontario. Meet us in Guyana in the March of 2019. Click or touch here to request a meeting date (if you have not done so already). We’ll finalize your appointment time with you. Join the Upper Canada Immigration e-mail advisory list for updates and information. Q: Can’t I do the immigration process by myself? A: Yes. And you might even succeed. But this is not the world it was even five years ago, when members of your family, or your circle of friends, left home for Canada or the USA. If you fail, even for a minor reason like not reporting travel or specific incidents in your past life, that refusal on your record makes it much, much less likely that your second attempt will succeed. Computers pre-scan applications today. If key words are absent, your application may never even be reviewed at all. By analogy, you could also represent yourself in a court proceeding, but people would speculate whether you had a fool for a lawyer or a client. You might want to consult Upper Canada Immigration first. Q: Why do you charge a fee for the first consultation meeting? A: To recover some of our cost in coming to your country, renting the meeting room and staying in the country. And frankly, to make sure the people we see are serious. That’s why your consultation meeting fee is credited back to you if you become a client, and begin your journey to Canada with Upper Canada Immigration Consultants. Q: If you represent me, will this be expensive? A: Possibly. Let’s not tiptoe around it. There is a lot of work to be done, detail that must be right, forms that must be filed on time. It takes a lot of time, and also patience. But.. How much money will you leave unearned if you waste a year, or two years, and end up right back where you started for lack of good advice on the ground in Canada? The advice from a good immigration consultant represents good value. Q: What information will I need to get started? A: The amount of information depends on how far into your life and career you are right now. You’ll need to pass an English proficiency test. Even though the nations of the Caribbean are English-speaking countries, this requirement must be met. The same is true for prospective immigrants to Canada from the USA and Britain as well. Indeed, Canadian immigration consultants born, raised and educated in Canada must also pass a language test. How to bring (or join) a spouse or other relative in Canada. Andrea Seepersaud was born and raised in Guyana, and has also lived in Leeds in the UK. Andrea came to Canada in the 1980s. She has extensive experience in settlement services and immigration. Andrea's clients come from all over the world. Upper Canada Immigration is a federally-incorporated and regulated immigration consulting firm. Upper Canada Immigration Consultants is based in Ontario, Canada’s most prosperous and populous Province, and its industrial, commercial and cultural heartland. In Ontario, people from everywhere on Earth can find a piece of their home country, language and culture among the tens or hundreds of thousands of others like you, who call Ontario home. Trust your own instinct. Your mistakes might as well be your own.